Meet Stanley Huang: father, husband, ex-husband, man of unpredictable tastes and temper, aficionado of all-inclusive vacations and bargain luxury goods, newly diagnosed with pancreatic cancer. For years, Stanley has claimed that he’s worth a small fortune. But the time is now coming when the details of his estate will finally be revealed, and Stanley’s family is nervous. For his son Fred, the inheritance Stanley has long alluded to would soothe the pain caused by years of professional disappointment. By now, the Harvard Business School graduate had expected to be a financial tech god – not a minor investor at a middling corporate firm, where he isn’t even allowed to fly business class. Stanley’s daughter, Kate, is a middle manager with one of Silicon Valley’s most prestigious tech companies. She manages the capricious demands of her world-famous boss and the needs of her two young children all while supporting her would-be entrepreneur husband (just until his startup gets off the ground, which will surely be soon). But lately, Kate has been sensing something amiss; just because you say you have it all, it doesn’t mean that you actually do. Stanley’s second wife, Mary Zhu, twenty-eight years his junior, has devoted herself to making her husband comfortable in every way—rubbing his feet, cooking his favorite dishes, massaging his ego. But lately, her commitment has waned; caring for a dying old man is far more difficult than she expected. Linda Liang, Stanley’s first wife, knows her ex better than anyone. She worked hard for decades to ensure their financial security, and is determined to see her children get their due. Single for nearly a decade, she might finally be ready for some romantic companionship. But where does a seventy-two year old Chinese woman in California go to find an appropriate boyfriend? 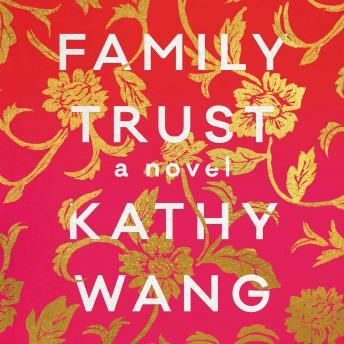 As Stanley’s death approaches, the Huangs are faced with unexpected challenges that upend them and eventually lead them to discover what they most value. A compelling tale of cultural expectations, career ambitions and our relationships with the people who know us best, Family Trust skewers the ambition and desires that drive Silicon Valley and draws a sharply loving portrait of modern American family life.